Ok, day 2 and 3 could have been better. While many have been tasting the Beau’s pan-Ontario beer, or sampling various other one-off specials across the town, I’ve been otherwise occupied. But, I still managed to keep with the mandate (to try new beers go on a weeklong bender?) and fit in a new-to-me beers. And to be honest, I’m very happy thes ones I tried are not one-offs, because they are very good. However, lesson 1: The wonderful benefits of a craft brewer being owned by a large corporate brewer: It results in some great beer on tap at places like Jack Astor’s. 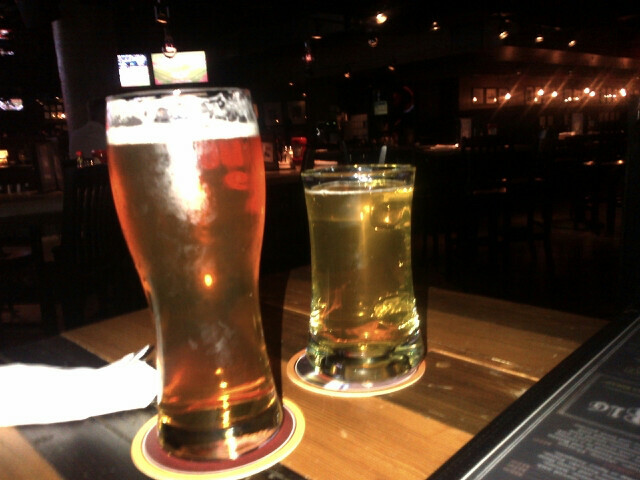 Yup, they had two beers from the Moosehead owned Hop City Brewing: Barking Squirrel Lager and Happy Hour Premium Ale. Now, I am well acquainted with the Barking Squirrel (and very content with that alone), but I had not tried the Happy Hour Ale. And so a two please. 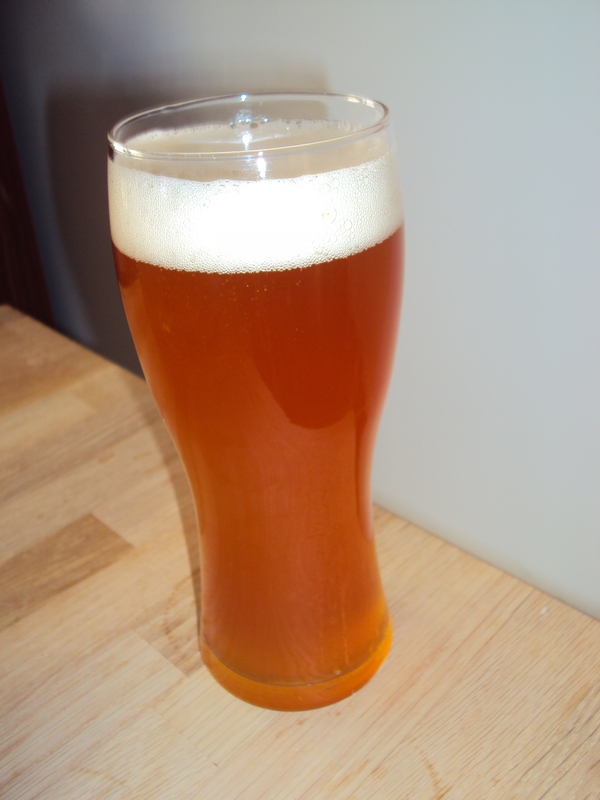 The verdict: It is exactly as advertised – a terrific beer to be enjoyed during happy hour…well or if your just in the mood for a great beer. I am now a bigger fan of Hop City. Day 3: Work got the best of me here. As week speak, I am emotionally unstable about missing the Danforth Craft Beer Pubcrawl. Instead, I was left to opt for a last minute find-what-I-can at the LCBO that I haven’t tried. 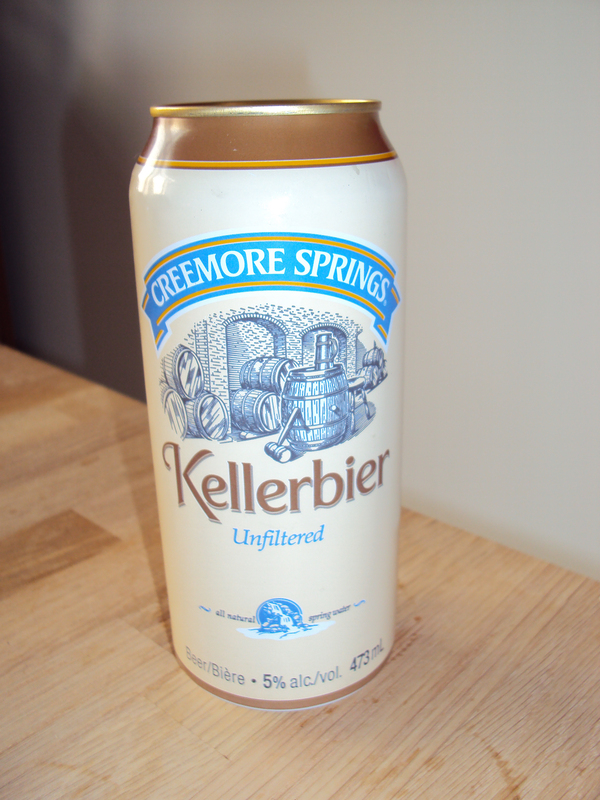 And that’s when it struck me: I have not had the Creemore Spring Kellerbier. Lesson1 repeated: Another corporate owned craft brewer (this time by Molson Coors). Again, I benefit from this “arrangement” as tall cans of the Kellerbier and other Creemore offerings get prime placement in the LCBO cooler and are ready for instant consumption. As the story of the Kellerbier goes, this is an ancient beer, kept in the cellar by German breweries for special guests…or something like that. Well, it is a special beer. Cloudy but by no means skunky; a delicious brew to follow a hard days work. So, on day 2 and 3, I didn’t take in the fesitivities per se. But I did try two new beers, and was reminded that the deep pockets of Hop City and Creemore Springs have their benefits. However, here’s to a more experential and noteworthy day 4.